Eenoog sloop voorzichtig door het huis. Het kwaad miste ook een oog. Although the one-word sonnets are defended of being worthy of the name sonnet in the introduction I have some lingering doubts: sonnets have a great many rules, and here there’s only the rule of 14 words, one per line. Perhaps I’m the purist, who thinks that “le terme quatorzain, qui désigne de façon générale tout poème de quatorze vers, conviendrait mieux.” But no matter what you call these haiku-like intensely precise little poems, they’re quite good. The French translation is also outstanding. My favorites are “Sleep” (p. 58), “Substance Abuse” (p. 98) and “Anti-Semitism” (p. 112). Seymour Mayne, Sabine Huynh (Translator) (2011). Ricochet : word sonnets = sonnets d’un mot . Freely available from http://www.oapen.org/search?identifier=515358. As something of a cultural edifice in Belgium and a highly regarded poet in the Netherlands, Guido Gezelle should need little introduction. Yet perhaps Gezelle’s dynamic, melodic lyrical poetry from the 1850s deserves more international recognition for being ahead of its time. Some people even go so far as to disparage literature in Dutch, by saying that “Dutch poetry, whether from Flanders or the Netherlands, has a stronger claim to international appreciation than Dutch-language prose” (source, including a nice selection of some translated poems by a variety of authors). For the relevant time period of the the late nineteenth, early twentieth century they are probably not wrong. I can barely stand many a prose classic written in the period of roughly the 1880s to the 1910s myself, although when you compare it to the tedium of a George Eliot or a Thomas Hardy I’d be hard-pressed to say it’s any worse. The real question is, I suppose, whether Dutch literature of the time has anything as wonderful as Henry James. 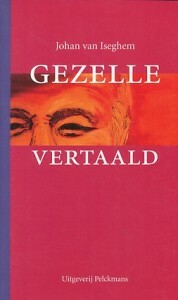 The Gezelle vertaald anthology brings together some of Gezelle’s pearls, presented in the original Dutch as well as various translations in the neighboring languages of English, German, French… and Latin. An unfortunate shortcoming of this anthology, certainly for an international audience, is that the rights to the English translations by Christine D’haen and Paul Claes could not be secured, but a sampling of those can be found here. Incidentally, a fairly exhaustive list of translations in other languages can be found here, although unfortunately Flash is required. Following is a list of some of my favorite translations included in this work. Keep in mind that this is not the same thing as a list of my favorite poems in Dutch. “Message des oiseaux” (Boodschap van de vogels), translated by Liliane Wouters, p. 38. “Besuch am Grab” (Bezoek bij ‘t graf), translated by Wolfgang Cordan, p. 55. Oddly enough, I don’t care for this one in Dutch at all. I’m not sure why it works for me in German, but apparently the perhaps even more than usual overt religiosity is not the problem. “Bien plus vaste que ma vue” (Hooger als mijn oogen dragen), translated by Jan Schepens, p. 59. “Cor tuum si patet” (Als de ziele luistert), translated by H. Vroom, p. 61. Admittedly my knowledge of Latin is rudimentary at best, but in spite of what I perceive as a loss in meaning — which could be mine to blame — I enjoy the interaction between the meter and the sounds. “Un vers courait dans ma prière” (Daar liep een dichtje in mijn gebed), translated by Jan Schepens, p. 62. “Weißt du, wie die Winde werden?” (Weet gij waar de wind geboren), translated by Wolfgang Cordan, p. 63. 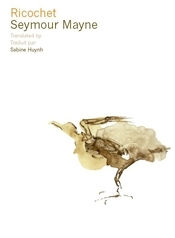 “Le nid de mésanges” (Het meezennestje), translated by Liliane Wouters, p. 74. The joy and soundplay of the original Dutch is wonderfully captured in the French translation by Liliane Wouters. “Le rossignol” (Waar zit die heldere zanger, dien), translated by Liliane Wouters, p. 98. It’s starting to become apparent that I regard Liliane Wouters’ translations highly. “Schnee” (Wintermuggen), translated by J. Decroos, p. 130. I might slightly prefer the German translation. Tallying up, I would definitely recommend the translation by Liliane Wouters for speakers of French. I also quite enjoyed the selection of German translations by Jérôme Decroos, even though a few years ago I wasn’t particularly enchanted by his German translations of some of Hadewijch’s work in Niederländische Gedichte aus neun Jahrhunderten (1960, p. 43, 44 [Selections from songs 19 and 22]). In the following bibliography I’ll mark the translations I recommend based on my sampling in bold. All in all I thoroughly enjoyed this book. Johan Van Iseghem (ed.) (2003), Gezelle vertaald: een meertalige bloemlezing . Cordan, Wolfgang. Guido Gezelle. Rauschendes Ried. Eine Auswahl von Wolfgang Cordan . Oostende: Erel, 1973. Decroos, J. Guido Gezelle. Ausgewählte Gedichte . Paderborn: Verlag der Bonifacius-Druckerei, 1938. Schepens, Jan. Kleengedichtjes. Guido Gezelle. Petits poèmes, traduits par Jan Schepens . Oostende: Erel, 1973. Vroom, H. Centum Carmina quae composuit Guido Gezelle. Latinus versibus reddidit Dr. H. Vroom . Leiden: E.J. Brill, 1967. Wouters, Liliane. Guido Gezelle. Un compagnon pour toutes les saisons. Choix, préface et traductions: Liliane Wouters . Editions Autres Temps & Liliane Wouters, 1999. Claes, Paul and Christine D’haen. The Evening and the Rose. Poems translated from the Flemish by by Paul Claes and Christine D’haen , Antwerpen: Guido Gezellegenootschap, 1989. – 115 + [I] p., 22 x 13 cm. Decroos, Jérôme. Niederländische Gedichte aus neun Jahrhunderten , Freiburg: Herder, 1960, 320 pp. je kan er al op springen?